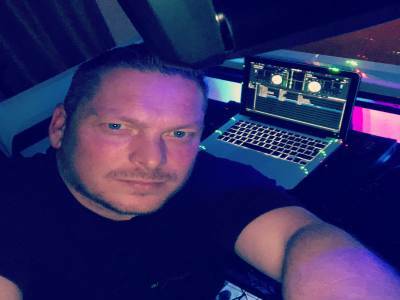 "Bespoke Wedding & Event Specialist"
With over 29 years of DJing experience and covering all sorts of events from birthday parties, weddings, engagements, fundraising events, school discos, proms and much much more. Our music range covers all music from the 60s to the present day UK Top 40. In that we cover pop, rock, ska, dance, club, rock n roll, motown, northern soul and more. We carry professional grade modern sound systems and event lighting. At T Jules Disco we offer a variety of packages for you to choose from that are designed to meet the budgets of all. Please browse our site to learn more and to view photographs from recent events. Required by many venues, T Jules Events has a current PLI policy with Mobile DJ Network in the amount of £10 million. Also required by many venues, T Jules Events has not provided satisfactory evidence of having current PAT records available. A Method Statement outlining T Jules Events&apos; Health & Safety procedure for setting up disco equipment has been provided. T Jules Events has provided Risk Assessments undertaken at events sourced via needadisco.com, indicating that they can undertake these competently. Why do people choose to book T Jules Events? Good balance of quality and price. 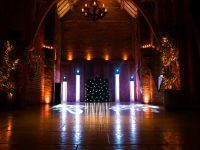 "Absolutely brilliant DJ, cannot fault him in anyway, everything was perfect and the feedback from the guests was great. Thank you so much." "Thank you so much for your kind words, it was a pleasure to dj for you." "Terry was incredibly professional from the site visit to the set up, music and dismantling on the night. He had excellent lighting and sound equipment and our guests had a fantastic time." "We were absolutely over the moon with everything, the communication before and during our day was excellent, Terry Went in to detail about what our needs were and offered us advice. Nothing was too much trouble for him. The music played covered all Genres and the dance floor was full all night. Great entertainment and this added to make our day and evening perfect. We will define use them again"
"Brilliant, great job as always kids had a great time "
"The children were a great bunch to DJ for. Danced all the way through in extreme heat. Excellent Party"
"Terry made the night perfect, the dance floor was packed from start to finish and handled everyone's requests. Managed to judge what music would best suit the party's need to ensure we all had a great night. Would definitely recommend"
"The complete booking process to the actual event went really well. the client was fab and made us feel very welcome. Brilliant night and great guests." "Top bloke, took my mad wife in his stride, and turned her never ending requests into a great evening. Highly Recommended [ADMIN: Feedback provided for previous company identity T Jules Disco]"
"From the client booking us to the end of the event. The event was a pleasure to do. Looked after and enjoyed a great night with great guests." "Excellent service and dj had liased with singer and surprised us with the first dance. Terence was so accommodating and the set up looked great in our Venue. Would highly recommend Terence for any occasion. [ADMIN: Feedback provided for previous company identity T Jules Disco]"
"Working with the singer to give you a memorable first dance was a pleasure. Great Wedding :)"
"Terry kept the children dancing all night to their favourite pop, my daughter had a great night [ADMIN: Feedback provided for previous company identity T Jules Disco]"
"Great party, the children were brilliant all night long. credit to the youth present." "The whole spectrum of ages at our party and everyone said what a brilliant disco, great selection of music which had folk up dancing all evening long. We would not hesitate to recommend T Jules Disco to one and all. [ADMIN: Feedback provided for previous company identity T Jules Disco]"
"Music requests on the night were brilliant. A lot of 90s and classic RnB. Brill guests all night. Many thanks for choosing T Jules"
"Brilliant DJ who was highly professional. Good communication - answered all our questions before booking. Provided a superb set up, lights, sound etc, and made sure all the songs on my playlist were played. Will definitely book again - highly recommended. [ADMIN: Feedback provided for previous company identity T Jules Disco]"
"Thank you for your kind words. Testimoniials like this keep me going and always make our job worth while. Yet another great function with good guests. Many thanks for choosing me to DJ for you. It was a complete pleasure to do so. " "Terry is a friendly, responsive and helpful person, his attitude is professional and his service is high quality. Would be pleased to work with Terry again in the future. [ADMIN: Feedback provided for previous company identity T Jules Disco]"
"It was also great to work along side Graham. Very professional :)"
"Brilliant DJ, guests were on the dance floor all nights good selection of music to fit all age groups, highly recommended [ADMIN: Feedback provided for previous company identity T Jules Disco]"
"Brilliant Party and the music requests were top notch all night long. It was a complete pleasure to DJ for you both :)"
"Very friendly and good value for money. Played a range of music and requests. Would highly recommend. [ADMIN: Feedback provided for previous company identity T Jules Disco]"
"The evening was great, it was a pleasure to be your DJ. many thanks for choosing me to entertain you :)"
"Terrence was great played the music that was required for our Birthday party it was clear great sound no hicups we would certainly request him again if needed big thanks to him and his DJ-ing every one was complimenting his range of music. [ADMIN: Feedback provided for previous company identity T Jules Disco]"
"The night was brilliant, the guests were great and the music requested from them was a DJ's dream. Many Thanks :)"
"Great thank you very much! [ADMIN: Feedback provided for previous company identity T Jules Disco]"
"Great night and enjoyed the good company. Danced all night :)"
"There was good communication via emails with the DJ prior to the event. On the day, Terry arrived at the venue early, and was able to promptly set himself and his equipment up. He conducted himself very professionally and there was good interaction between him and the children. He was also able to adapt quickly to the needs of the party, pausing for the food and for the cake as requested. The disco lights were good, and the children enjoyed themselves. There are no reasons I can think of for not recommending Terry. [ADMIN: Feedback provided for previous company identity T Jules Disco]"
"i always enjoy DJing for the younger generation. there knowledge and learning abbilities are tremendous at that age. great bunch on children :)"
T Jules Events also offers a range of additional party services not directly linked to musical entertainment. Please note that needadisco.com has no editorial control over these images which are stored on flickr.com. If you have any concerns about what you see below, for example potential copyright infringement or unsuitable content, you should take this up with T Jules Events directly using the Contact section below, or else you may alert flickr.com directly quoting "set number 72157649404195464". If you are contacting T Jules Events about an event, it's always a good idea to include the DATE, LOCATION, EVENT TYPE, AGE GROUP and TIMINGS to speed things up!